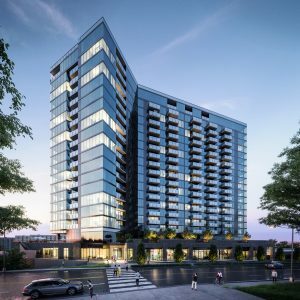 Whether you’re looking for your dream condo or just window shopping, make sure to take a look at these three luxury high rise condo projects in Atlanta. Buyers want to live intown in walkable neighborhoods and that’s exactly what these luxury condos provide. With a stable economy, we are seeing an expansion of residential areas again as cranes in Midtown and Buckhead start to bring condos to their full heights. Our luxury high rise condo roundup includes: Seven88 West Midtown, Juniper and 5th and The Charles. Each of these projects offer something unique to today’s discerning buyers. At 20-stories, Seven88 West Midtown will change the skyline of West Midtown and welcome its first homebuyers in late 2020. One of the largest residential buildings and the only glass tower currently under development in Midtown, the building will feature modern architecture and finishes throughout, with resort-style amenities including an immense deck with an outdoor dining space, a saltwater swimming pool, whirlpool spa, clubroom with demonstration kitchen, billiards and a lounge. Residents will enjoy recharging at the state-of-the-art fitness and yoga facility. Controlled access parking, bike storage, a dog spa and a concierge mean that residents can focus on living life and leave the details to the team at Seven88. In addition, Seven88 West Midtown will feature 9,000 square feet of ground level curated retail, restaurant and entertainment space. Ownership opportunities at Seven88 West Midtown are now available through Ansley Developer Services. A wide variety of floor plans are available including studio, one bedroom, two bedroom, three bedroom and penthouses. Floor plans range from 699 to more than 2,800 square feet and prices range from the mid-$300,000s to $1 million+. The community around Seven88 is the perfect urban playground for anyone looking to move to West Midtown. The once industry and warehouse filled area has been converted into stylized lofts, office space, shops and restaurants, many of which have attempted to maintain the historicity of the location. This area is especially desirable for its walkability and future locals, such as the Westside Park at Bellwood Quarry. At 280 acres, the Westside Park will become the largest park in the city. A well-appointed building with resort-style, luxurious amenities and curated interiors, Seven88 has 279 residences with customizable finishes and dramatic city views. This luxury high rise condo is being built by McKinley Homes. For more information and sales opportunities, visit Seven88 West Midtown or call 404-998-8811. 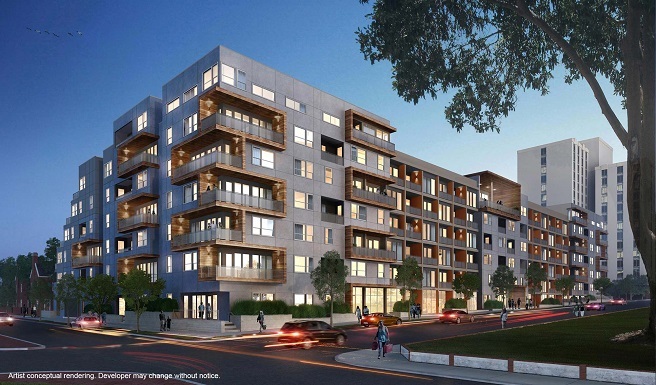 For more Seven88 West Midtown news, click here. Juniper and 5th, also known as J5, is a 150-unit condo building situated at the intersection of Juniper and 5th streets in Midtown Atlanta. Residents will enjoy J5’s many varying floor plans. The flexible open floor plan, high ceilings and comfortably large showers will make any condo feel like a full-sized house. Each condo is promised to be comfortable, bright and airy. The ambitious project plans to bring innovative 5-star amenities such as personal parking, conditioned storage and gathering areas like firepits and a beautiful stylized lobby. J5 also has two separate courtyards, one for a lush and lovely garden setting perfect for evening walks and the other that hosts a generously sized saline pool that will make for a great cooldown during the hot Georgia summers. It’s also situated in an area in high demand for condos and amenities, as the longtime and popular residential area continues to grow. In the local area around J5 is Piedmont Park, The High Museum of Art and the Atlanta Botanical Garden. J5 offers one-bedroom condos from the $300,000s to $400,000s and two bedrooms from the $500,000s to the $800,000s. Developed by Dezhu US, J5 is slated for being completed in the fall of 2019. As of time of writing, J5 was 35-percent sold out, so interested buyers should contact KW Brightstar at 404-920-8270 or visit Juniper & 5th to learn more. 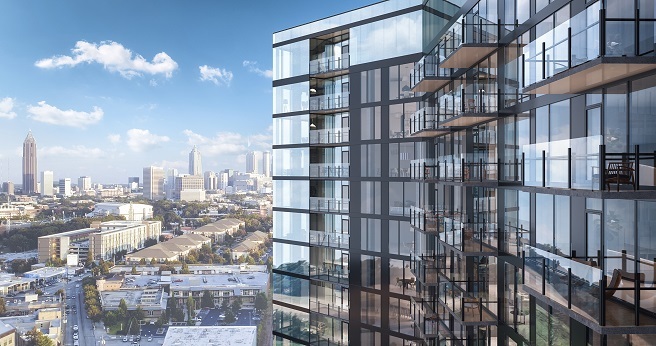 For those seeking the poshest, most luxurious and finely crafted condo experience in Atlanta, then look no further than the exclusive condos at The Charles. With only 57 Condos in total, the Charles promises a unique experience one can only find in Buckhead. Each Condo has access to a large balcony or terrace that has a stunning view of the surrounding area. Equipped with professional grade kitchens and masterful bedrooms, these larger than average sized condos will be a treat for their residents. The Charles also comes with an amenity terrace below the condos, where residents can congregate and mingle and a fully-fledged retail area below that. 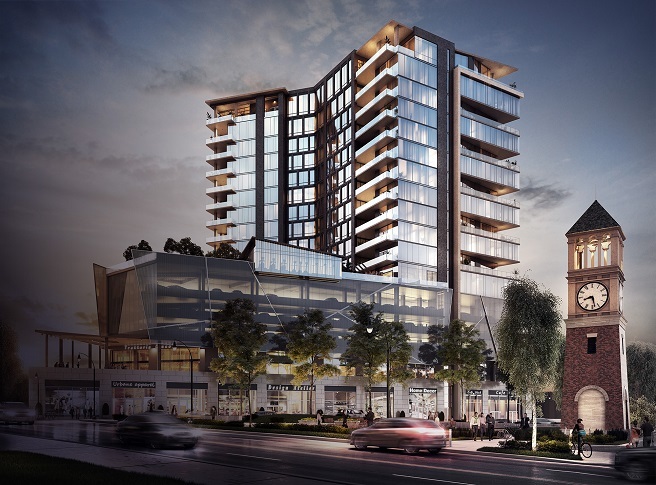 The project is in a wonderful location, as Buckhead hosts some of Atlanta’s best shops, brands, restaurants and entertainment, such as the Charlie Loudermilk Park, the Buckhead Theatre and the Buckhead Market Place. The Developer is The Loudermilk Companies who have built and are continuing to build several projects in the Buckhead area. Prices for the Condos at The Charles range from $1.3 to 3.9 million and can be higher for the larger penthouses. The project should be completed sometime in 2019. For more information, visit The Charles.